Available in 1.5, 1.8, 2.2 ohm (+/- .2) resistance. These replacement bottom coil heads are compatible with the Vapeonly vTank. 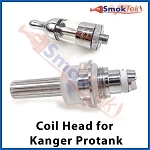 Replacing the coil is simple - hold the tank/clearomizer upside down, remove the bottom cap, unscrew the used coil head, replace it with a new one, and screw the bottom cap back in place. Q: Does this fit the Kangertech T3S/T3S BCC ? The Vapeonly vTank replacement coils are not compatible with the Kangertech T3S BCC. Q: Will these work with Smok GBC tanks? I'm glad to help here! 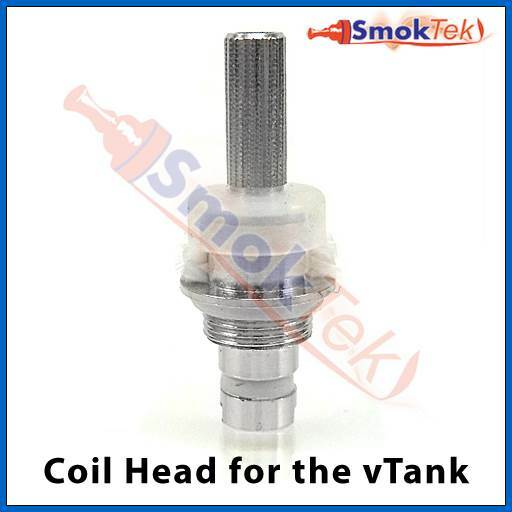 The Vapeonly vTank Replacement Bottom Coil Head is not designed for the Smok GBC; however, we do have the replacement coil heads designed for the Smok GBC. I'm posting the link below.